Cerner/Siemens and Blue Shield/Blue Cross: What Happens Next? The industry is buzzing over the news that Cerner is buying the health information technology business unit of Siemens. The Siemens acquisition is the most recent high-profile example of consolidation that is taking place in all sectors of healthcare. The consolidation trend is not new, of course. Providers reacted first, by aligning as Accountable Care Organizations (ACOs) and clinical integration (CI) networks during the past five years. Then the passing of the Affordable Care Act (ACA) accelerated the need for collaboration, forcing providers to acquire additional acute care and post-acute care facilities as well as physicians’ offices. This consolidation trend was the first to expose the obvious lack of interoperability amongst vendors. Market forces are leading to the tightening of operating budgets and driving the movement toward patient-centric, outcomes-based reimbursement models. The challenge is that millions of patients are coming into the system at reimbursement rates below cost. In this environment, clinician shortages are also a serious and ongoing concern as the emphasis should be around better management of population health. In turn, this is spurring consolidation in all sectors of healthcare at a blistering pace. Now vendors are getting into the act, as evidenced by the Cerner/Siemens announcement. The industry is clearly moving toward fewer big vendors controlling more of the HIT marketplace and likely snapping up the smaller vendors, while focusing on selling their offerings to smaller community hospitals. This is a recipe for fiercer competition and less cooperation. What will get lost, I fear, is any sincere focus on interoperability (health information exchange) and true collaboration. 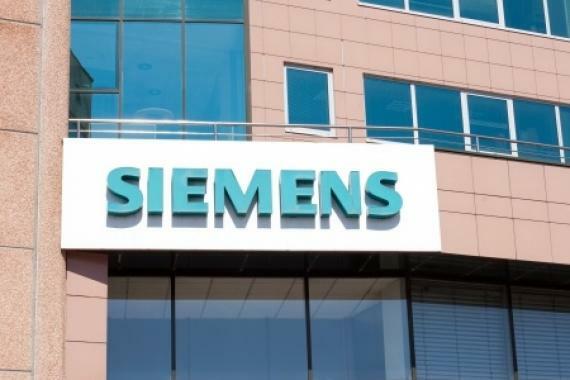 The Siemens acquisition is big news, of course – but there is another story this week that is just as important, and the latest indicator of the need to accelerate all interoperability efforts. Blue Shield of California and Anthem Blue Cross announced that they are creating one of the nation’s largest health information exchanges. Becker’s Hospital Review reports that participating providers in California will have access to more than nine million patient records via a portal compatible with most electronic health record (EHR) systems. Blue Shield and Anthem Blue Cross are funding the first three years of the program at a cost of $80 million. This announcement is a move toward next-generation interoperability and data sharing. Both announcements, combined with the strong market forces, validate the urgent need for innovation around interoperability, analytics solutions and vendor-agnostic mobility. But the key question is, “Who has the ability to lead this transformation?” As technology vendors, our role is to enable the transformation. However, the responsibility to drive it should never be given to vendors. Payers and healthcare providers have the upper hand here. They also have the social responsibility to force vendors to open up and support interoperability standards by leveraging their strength resulting from the fast-moving provider acquisition market. Failure to exercise that power may lead to patient population leakage, which in today’s environment of shrinking budgets and evaporating margins would be catastrophic. Providers can take the lead in enforcing interoperability standards, while supporting accelerated deployment of agnostic mobility and big-data analytics tools. Vendors that support true openness, neutrality and collaboration – along with the ability to positively impact workflow – are best positioned to thrive in the years to come in this era of industry-wide consolidation. The need for interoperability is stronger than ever, and payers and providers have the power to ensure this happens. This entry was posted in Uncategorized and tagged ACA, accountable care, ACOs, acquisition, AirStrip, Cerner, clinical integration, clinical transformation, data, data analytics, health, health information exchange, health information technology, health IT, health systems, healthcare, hospitals, information technology, interoperability, mhealth, mobile, Seimens, technology, vendors. Bookmark the permalink.